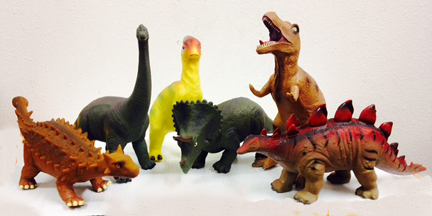 This is a fairly new group of large “soft-play” dinosaurs (firm, but soft to the touch) . They’re large – over a foot long for some and 9 inches tall for others. It’s a great starter set, including a T.rex, Brachiosaurus, Stegosaurus, Parasaurolophus, Triceratops, and an Ankylosaurus.